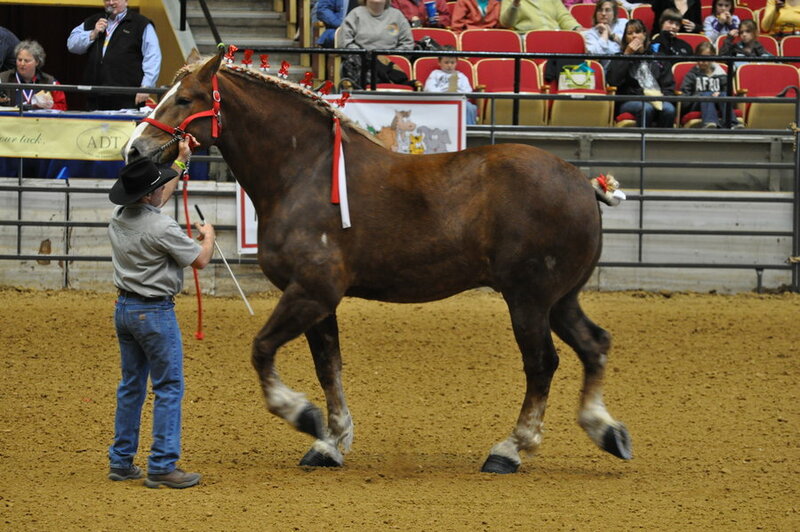 Big Jake has made it into the Guinness World Records Book for 2013 as the tallest living horse. Big Jake stands an official six feet, ten and three-quarter inches tall. 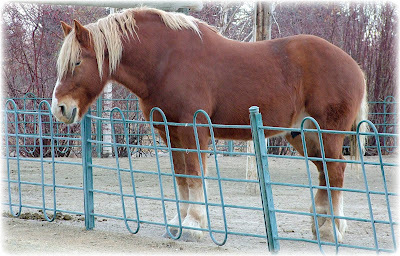 In horse world talk, he is 20 hands, two and three-quarter inches. He weighs in at 2,600 pounds. 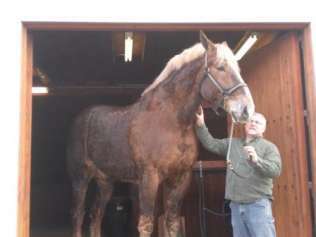 His owner, Jerry Gilbert, says that even though Big Jake is taller than any other horse in the world, he is a gentle giant. Big Jake was born big. The Belgian horse weighed 240 pounds at birth. This is about 50 pounds above the average for his breed. Born in Nebraska, Big Jake came to Smokey Hollow Farm in Poynette, Wisconsin as soon as he was weaned from his mother. In time, it was decided that due to Big Jake’s unusual size, Smokey Hollow Farm wanted to explore the possibility of Big Jake holding the world’s record. At the time, the record belonged to a Clydesdale in Texas named Remington, whose official measurement was exactly 20 hands. The process of documentation for Big Jake began in January of 2010. Smokey Hollow Farm obtained the guidelines from Guinness World Records needed to compete for this record. They compiled the evidence according to the strict Guinness rules. The local media and community officials witnessed the measuring of Big Jake. With numerous video cameras rolling, the official measurement was taken of Jake to determine whether he could claim the Guinness record as the world’s tallest horse. Big Jake measured in at 20 hands 2.75 inches without shoes. The two and three-quarter inches made him eligible for the world’s record. After being certified by the Guinness World Records, it became official. Jerry Gilbert said a certificate from Guinness World Records in England arrived at the farm by express delivery late March, 2010. At the time of the official measurements, Big Jake was nine years old. 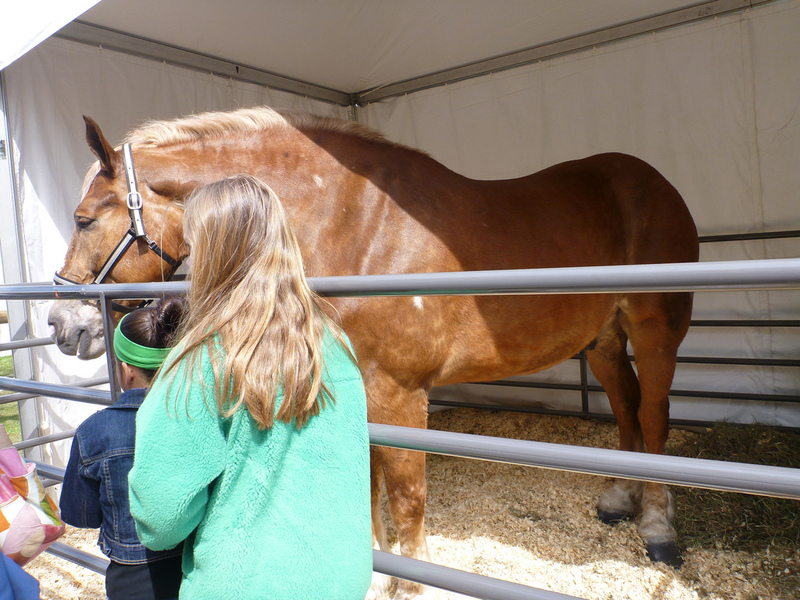 The announcement that Big Jake was the world’s tallest living horse was made during the Midwest Horse Fair in Madison, Wisconsin, one of the biggest equestrian events in the nation. Big Jake was named the World’s Tallest Living Horse in 2010 and 2011. He was officially listed in the Guinness World Record Book September 2013 as the tallest living horse in the world. In the meantime, Big Jake has been a member of the Smokey Hollow Farm hitch. He is a hitch horse in the right wheel of the show wagon. He has been driven every other day as a team with another horse to stay in shape. “We want Jake to maintain a healthy lifestyle. That’s what’s important to us,” Gilbert said. Big Jake is kept on a healthy diet, consuming 1 1/2 bales of hay and 40 quarts of oats per day. 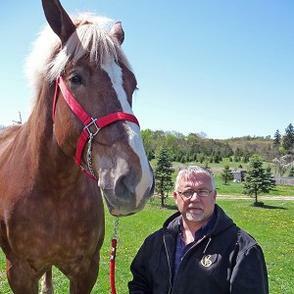 Jerry Gilbert has shown Big Jake as a draft horse in four-or six-horse hitches. As a celebrity, Big Jake has a huge following. According to Gilbert, the big Belgian is good with people and people are astonished when they see how big he is. Jerry Gilbert says they use Big Ben’s size for a good cause by helping to raise money for the Ronald McDonald House Charity. “We know various people who have had to use the Ronald McDonald House and because it helps the whole family of sick children it is very dear to our hearts,” Jerry Gilbert said. So … what is next for Smokey Hollow Farm? Well, as far as Jerry Gilbert knows, the Guinness World Records has never documented the world’s tallest team of horses. Smokey Hollow Farm just happens to have another big Belgian horse … Almighty Bruce. Almighty Bruce, like Big Jake, was big from birth. He is slightly shorter than Big Jake, but outweighs Big Jake by about 250 pounds. He is the same age as Big Jake. Those at Smokey Hollow Farms say that it is rare for one farm to have two horses that are more than 20 hands tall. Smokey Hollow Farm is, again, back to doing their measurements, this time for the tallest team. They are filing papers with the Guinness World Records in England for Big Jake and Almighty Bruce. 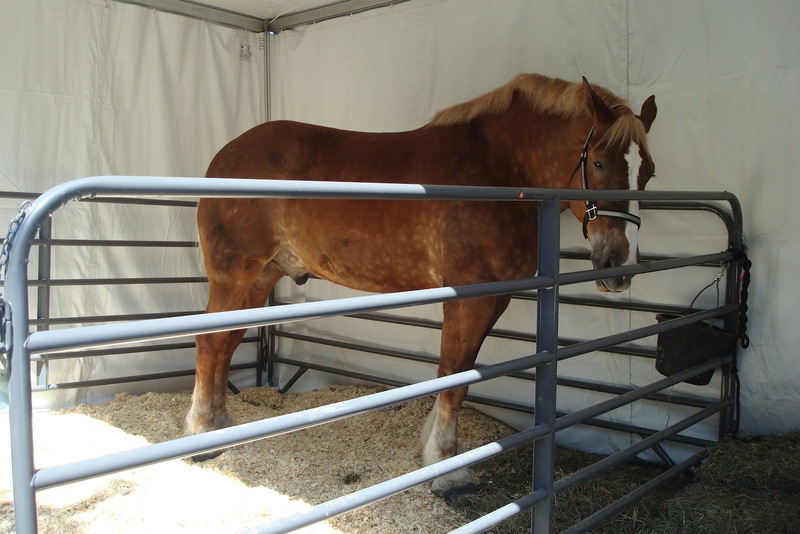 While we are on standby for Big Jake and Almighty Bruce, we cheer Big Jake for making it into the Guinness World Records Book for 2013 as the tallest horse in the world. Great post about Big Jake. He’s gorgeous. I love the big guys, they’re usually so kind. Wonderful pictures too. I read about this guy on Gray Horse Matter’s blog and thought I would see what you posted about him. Thank you for sharing the info and videos. Wow, they feed him 40 quarts of oats a day?! And he only eats a bale and a half of hay a day…. I was wondering how much they would feed a horse that size so thank you for including that. 😀 I really enjoyed reading more about him. Took a stroll over to your blog site. What incredible photographs! Really enjoyed it ! Will keep checking in. 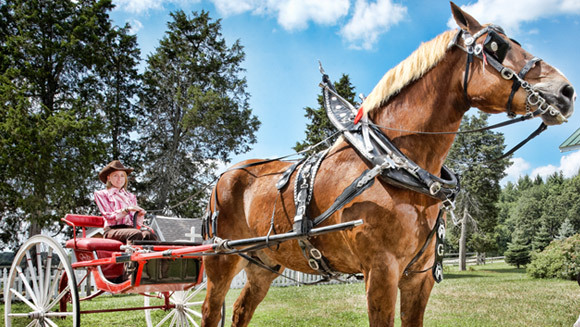 We may have competition for big Jake here at Iron Gait Percherons – Draft Horse Rescue. 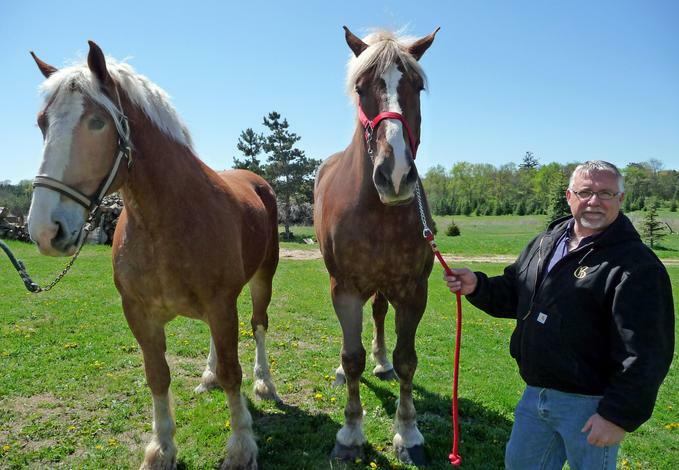 Rescued by Humane Society of Huron Valley in Michigan, Iron Gait promised Junior Sanctuary here at our Draft Horse Rescue. Although we still have to do a official taping and photo of taping. Hi I have a percheron draft at 19.2 hands and weighs 2800pds. He is a monster. I live in Cherry hill N.J. I have pics. cool horse…and tall, and big…is he a gene alteration or something? Saw Big Jake on RFDTV. I was amazed how smooth he was as Pam Minick was riding him. Wow what a beautiful horse.